Games are a fun way to learn and review information. 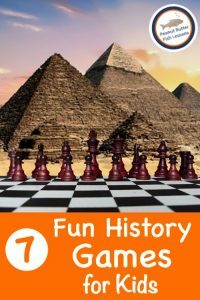 History is full of names and dates and places and games can be a fun way to memorize them. 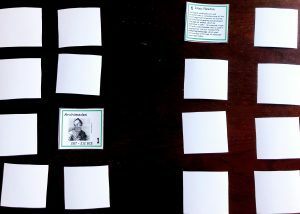 If you have a set of flash cards or note cards, you can DIY history games by following the steps below. Then you will have games that relate directly to what you have learned! 1) The subject matter (e.g., Ancient Rome, the Civil War, the Suffragist Movement, etc.). 2) What cards you are going to use. 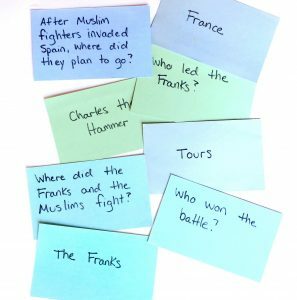 You might have a history curriculum that comes with review cards or you may have a set of flash cards you have picked up somewhere. The $1 bins at Target often have some common ones. Picking up two sets will allow you to play a greater variety of games. You can also make your own cards with index cards. Then you have complete control over what you are reviewing. Or you can check out our Vocabulary Concept of the Day Cards and use some of those. The great thing about these cards is you could print them single-sided and then use them as matching cards in some of the games below. 3) What information you are going to focus on. Provide a description: The child is given a person or event’s name and he has to describe that person or event. This would be a more advanced skill requiring good language skills as well as deeper knowledge of the historical information. To play Memory, you will need pairs of cards to match. The cards do not need to be the same as in traditional memory, but rather need to have information that pairs together. This works great if you make your own cards or if you print our Vocabulary Concept of the Day Cards single-sided. Then you can use the fronts and backs as the pairs of cards. Memory tips: Only set out the number of cards your children can easily handle. We want them to be able to focus on the history piece of the game and not stress their memory skills. 20 cards or 10 pairs is good to start with and then adjust from there. You can also set 10 cards on one side and their matching pairs on the other side with a space in between so that children have less cards to pick from when they are ready to find their match. Just as in memory, you will need pairs of cards. Then you just play traditional Go Fish by asking for the cards you need. Set some guidelines for how each player needs to ask for a card. 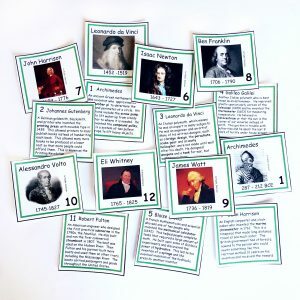 For example, if you have flashcards of US Presidents, have players ask for them by something they are known for or when they were president instead of just by name. This requires the players to use their descriptive language skills and have a better grasp of the information so it could be a good follow-up game to Memory with those same cards. You can make your own Bingo “boards” by lying out your cards in a grid pattern. (See below). Then the ‘caller’ can describe a card and each player puts a chip on that card. For example, if you laid out cards showing different women in history, the caller would give some information about each woman. Players take turns taking cards from a pile and lining them up in chronological order. Once a player has placed their card, he uses a resource (such as a history book) to check if he is correct. If so, play continues to the next person, but if not, the card is returned to the bottom of the deck. If you make your own cards, you could write the year on the back of the cards to make checking easy. You could set out actual timelines with dates to place the cards on. 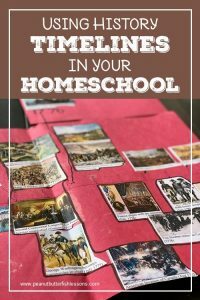 For FREE printable timelines, check out Using History Timelines in your Homeschool. There are many traditional games you could play and have players answer a history question before they take their turn. You can decide if they have to get the question right to take their turn or if their effort alone earns them a turn. Some good games for this are Sorry, Jenga, Trouble, Yahtzee, Checkers, and Connect Four. Sometimes it is fun to purchase high-quality, manufactured games. There are lots of great history games out there, but they can be expensive. 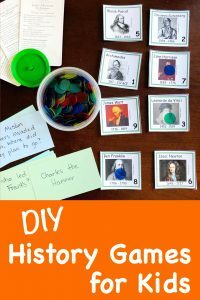 Check out 7 Fun History Games for Kids for some less expensive games. Most of the ones listed are below $25. 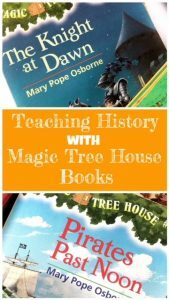 There are several sites online where children can play history based games. Some are games that help them practice history facts and others are strategic role playing games. Check out Best of History Website for a list of sites with games. You can also find a variety of topics on Quizlet, but since these are uploaded by a variety of users, I suggest checking for accuracy first. You can also make your own games on Quizlet. 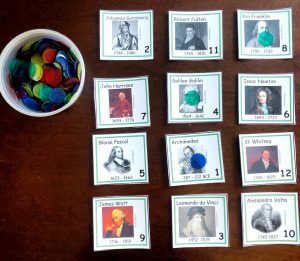 Have any other ideas for history games? Comment below and share!